Enriched with skin conditioners and antioxidants, this lip treatment soothes and relieves dry, chapped, irritaed lips. It penetrates quickly to provide instant relief. Offers SPF of 15. Also guards against windburn and temperature extremes while giving a hint of healthy color. Brightening Vitamin C envelopes a core of condoning Vitamin E.
Jojoba & Avocado Oils lubricates and smoothe. 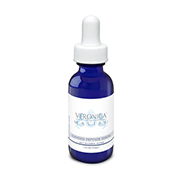 Vitamin E (the core) smoothes and heals, and Vitamin C enhances antioxidant protection. A hint of healthy color. Super healing vitamins helps heal and condition delicate lips. Enviro-protective sunscreen SPF 15 keeps lips safe from UV damage. Active Ingredients: Padimate O 7.5%, Oxybenzone 4.0%. Inactive Ingredients: Lanilon Oil, Polybutene, Cetyl Riclnoleate, Glyceryl Triacet Hydroxystearate, Euphorbia Cerifere (Candelilla) Wax (Candelilla Cera), Synthetic Wax, Glyceryl Triacetyl Aicinoleate, Copernicia Cerifera (Carnauba) Wax (Carnauba Cera), Wheat Germ Germ Glycerides, Microcrystalline Wax (Cera Microcristallina), Tetrahexyldecyl Ascorbate. Rose Canina Fruit Oil, Anthemia Nobilis Flower Extract. Simmondsia ChinxChinensis (Jojaba) Seed Oil, Persea Gratlaaima (Avocado) Oil, Carlhamus Tinctorius (Safflower) Seed Oil, Allantoin, Aloe Garbedensis Leaf Extract, Glycine Soja (Soybean) Oil, Caprylyl Glycol, Retinyl Palmitate, Tocopheryl Acetate, Tocopherol Fragrance (Parfum). May Contain (+/-): Mica, Titanium Dioxide (CI 77891). Iron Oxides (Cl 77491, 77492, 77499), Carmine (Cl 75470), Red 6 (CI 15850), Red 7 Lake (CI 15050), Red 27 Lake (CI 45410), Red 36 (CI 12085), Orange 5 (CI 45370), Yellow 5 Lake (CI 19140), Yellow 5 Lake (CI 15985), Blue 1 Lake (CI 42090). Apply to lips whenever they feel dry or chapped. 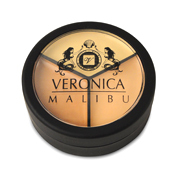 Use 20 minutes before going out in the sun to protect against damaging UVA and UVB rays. 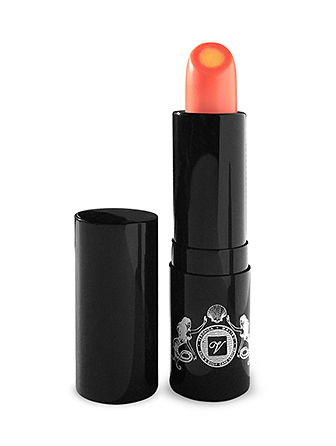 Suitable on its own or as a first step before applying other lip products.